Priced between Rs 49.99-56.7 lakh in Delhi, the X3 comes barely a couple of months after Audi launched its competing model Q5 earlier this year. 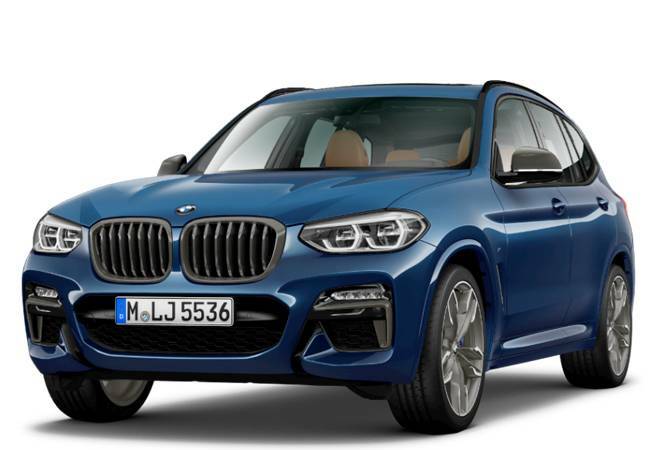 German luxury carmaker BMW, which is battling compatriots Mercedes Benz and Audi for the pole position in the Indian luxury car market, on Thursday launched the third generation version of its mid sized sports utility vehicle X3 in India. Priced between Rs 49.99-56.7 lakh in Delhi, the X3 comes barely a couple of months after Audi launched its competing model Q5 earlier this year. For now, BMW has launched the car only with a 2.0-litre diesel engine that makes a peak power of 90 bhp and 400 Nm of torque and is paired with an 8-speed automatic transmission. Like all BMW SUVs it comes with all-wheel drive as standard. The company has said it will launch the petrol powered version of the car later this year. Though it is similar in dimensions to the outgoing model, it is 55 kg lighter due to the new chasis platform that underpins it. The list of additional features includes a sixth generation iDrive infotainment system, which now gets a touchscreen and voice controls, smartphone integration options such as Apple CarPlay and Android Auto and an updated iDrive. Features like the BMW ConnectedDrive, automatic differential brakes, dynamic traction control, adaptive suspension, hill start assist and hill descent control are also on offer. "BMW X3 established the premium mid-size sports activity vehicle segment in India and became a trailblazer with its modern character," said Vikram Pawah, President, BMW Group India. "The all-new BMW X3 is set to write the next chapter in its success story with an even more striking, dynamic design language, powerful yet efficient drive systems and luxurious equipment. Practical both on and off road, the all-new BMW X3 is fully equipped for the most diverse driving demands, combining everything you need for wherever your day takes you." The overall luxury car segment in India had grown by nearly 17 per cent in 2017, the fastest in five years at just under 40,000 units. The growth comes after a bad 2016 when industry volumes had declined for the first time ever due to the ban on diesel engines at the start of the year. Even in 2017, the industry faced disruptions like the roll-out of the Goods and Services Tax where duties on luxury cars were initially lowered for a period of two months, only to be hiked thereafter. Companies have repeatedly complained about inconsistent tax rates and lobbied for more liberal taxation for luxury cars in India. Luxury SUVs like the X3 and Q5 in India are taxed at around 50 percent, one of the highest in the world. It is even more for those that are imported as fully built units. In calendar year 2017, Mercedes Benz held the top spot in the luxury car market in the country with sales of 15,300 units followed by BMW at 9,800 units and Audi at 7,876 units. JLR had sold 3,954 units during the year.